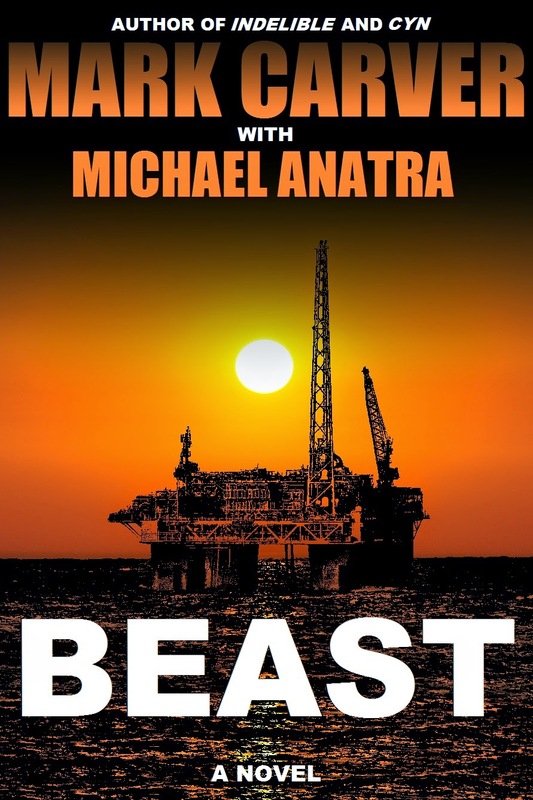 Here's the working cover for BEAST. I'm still playing with colors and shading, but I like the minimalistic concept. It's ominous but doesn't let you know what the story is about, aside from the fact that it takes place on an oil rig. And like INDELIBLE, BEAST is a "One-Off" book, and that means my name will be placed at the top of the cover and the title on the bottom half, as opposed to my usual dark thriller books, which have the title at the top and my name down below. This one certainly is going to be a beast!